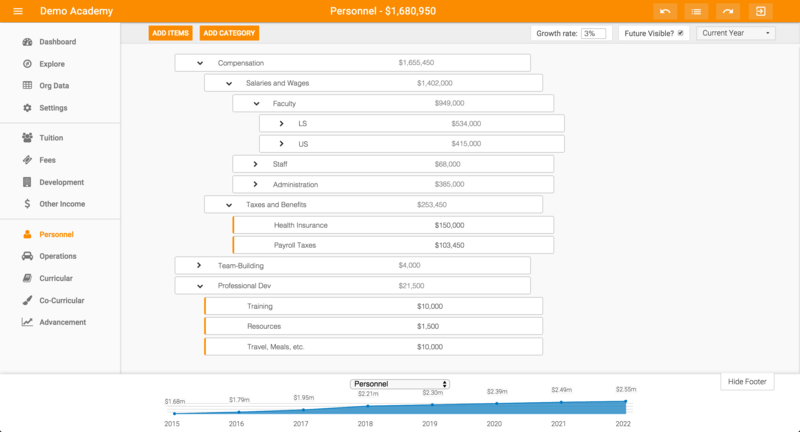 Helme is a budgeting application for k-12 private school financial decision makers. Forecasts, analytics, and what-if scenarios empower our customers to lead their schools well. Want to see Helme in action? Try our demo. Where will you be in 1 year? How about 5 years? Eliminate the guesswork with easy to use, multi-year forecasting. No more 20 page P&L's at board meetings. 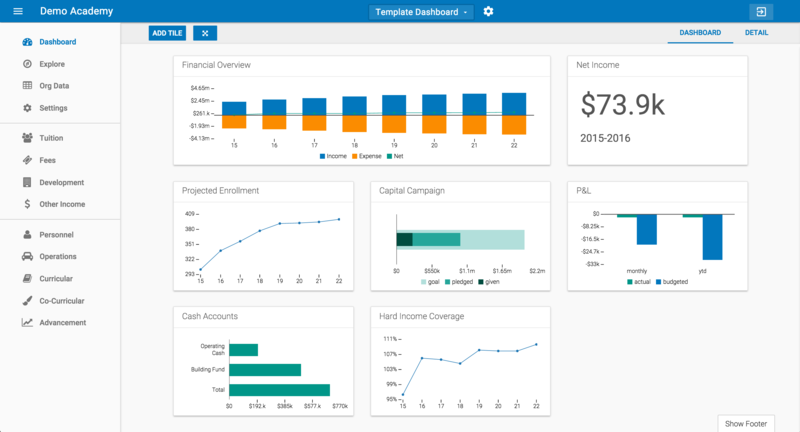 Create and share dashboards that communicate your most important information. How do your administrative costs measure up to those of similar schools? Inform and justify your decisions by comparing your budget and key metrics to other schools'. Build an institution that will last. We'd love to schedule a 30 minute demo to see how we can make Helme can work for you. Copyright 2017 Edudash, LLC. All rights reserved.